Although I haven’t mentioned it much, I’ve been out of town a LOT lately and am headed away AGAIN! 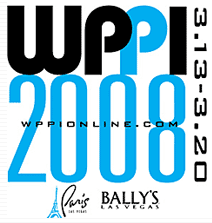 It’s for my FAVORITE yearly PHOTOGRAPHY conference, WPPI (wedding and portrait photographers international)!!! It’s the LARGEST PHOTO CONVENTION and gathering of over 10,000 photographers from ALL over the WORLD, is held in none other than VEGAS and it’s truly SUCH a ROCKIN time!! The best photographers in the world are all in one place and the energy and inspiration is just the BEST!!! I LOVE IT!!!! jessica, omigoodness, u look like 10yrs younger in person *how do you do that?*. 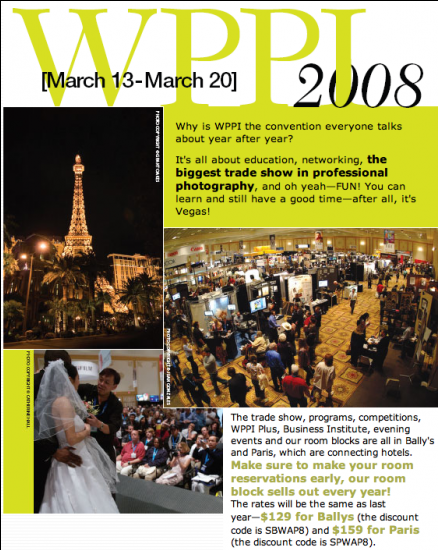 i finally caught a glimpse of you, melissa carl and another lady working with gary on wppi today. heck, i even saw gary walking towards bally’s *he looked like he just woke up*. anyyyyways, to not sound like some silly idol stalker, u guys all look FAB! You are sweeter in person than your writing on your blog.